I learn a lot from my gluten free friends. Including realizing certain products contain wheat. 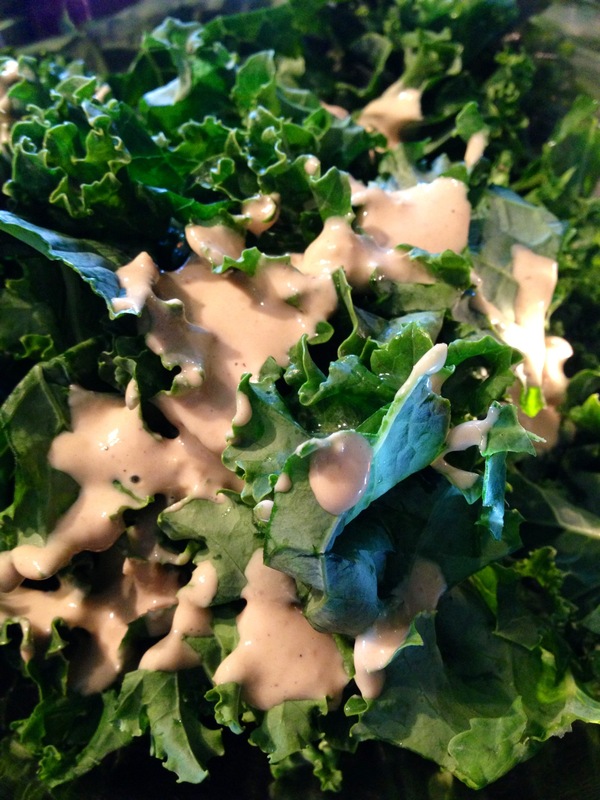 Goddess dressing is one of those products – and while I really don’t like bottled salad dressings at all, I will grab a bottle of Annie’s Goddess Dressing in a pinch. Not any more. This dressing is so similar made with just a few ingredients you can throw right in the blender. I apologize for another kale salad, but this superfood tossed with a homemade tahini dressing and crispy croutons with a kick is just too good not to share. I also recommend doubling the dressing recipe and keeping it in the fridge. 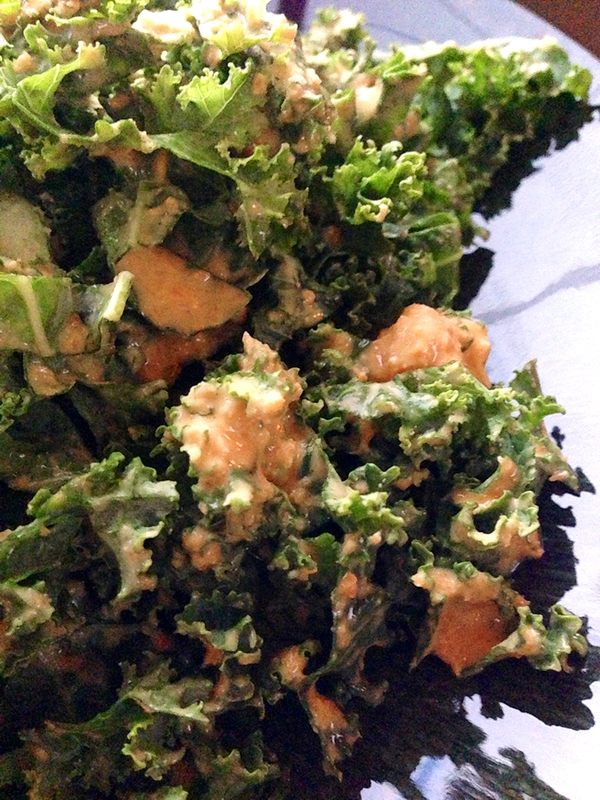 VARIATION: After making this a few times, I started adding 1 large carrot (peeled and rough chopped) to the blender. This increases the health value exponentially, while lowering the fat and improving the thickness. This variation is like goddess dressing meets ginger carrot dressing from your favorite Japanese place. I’ll never make it without carrot again. In a small saucepan, heat up olive oil with chopped garlic and red chile flakes. 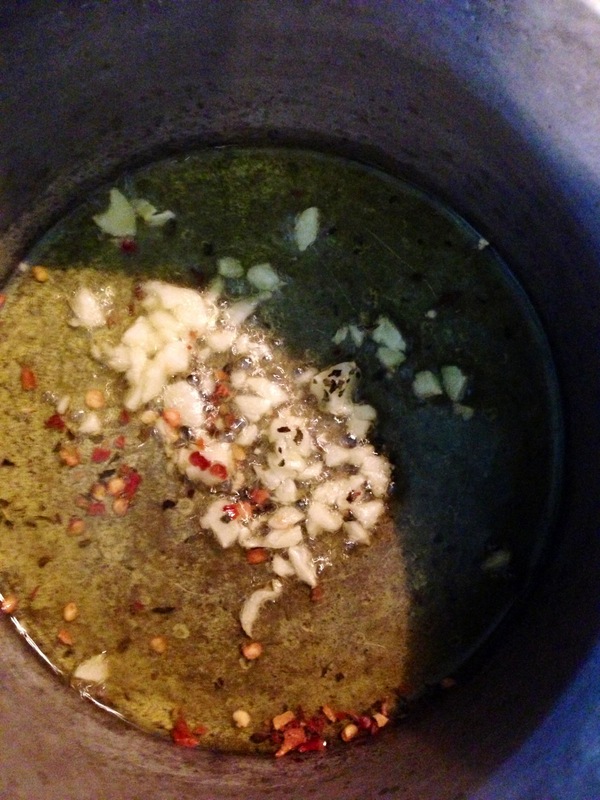 Remove from heat just before garlic starts to brown. Preheat oven to 375 degrees. Arrange bread cubes close together on a sheet pan and drizzle with hot garlic oil, a little salt and pepper. Toss to coat evenly (be careful, the oil is hot!). Taste to make sure the seasonings are right and then spread out croutons on the sheet. Bake for approximately 12 minutes, tossing once. Keep your eye on them so they don’t get too brown. 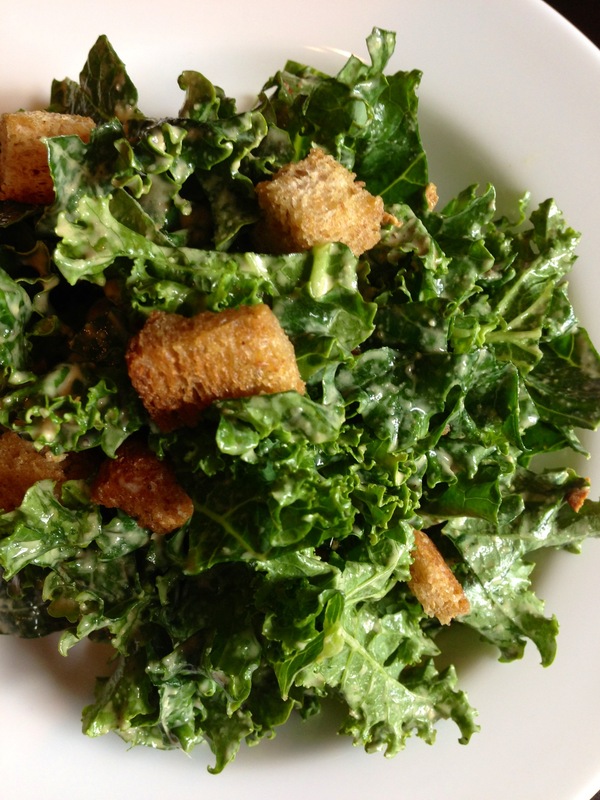 ASSEMBLY: In a large salad bowl, toss kale with the amount of dressing and croutons you like. This keeps pretty well in the fridge, but you might want to reserve the croutons just before serving, in that case. Enjoy! Enter your email below to get notified of new recipes.